At Arunodaya Trust we aim to help orphans all over the Telangana & Andhra Pradesh.To relieve their suffering and to give them a brighter future. We want to "send them a little hope." Every day over 6,000 children are orphaned, these children desperately need our help. We understand that we cannot help everyone, but by helping rebuild and renovating orphanages giving orphans a safe place to stay can mean all the difference to those most in need. We aim to raise the standard of living for orphans around the world by providing clean water, proper sanitation, medication, clothing and education, this will allow all orphans to realize their birthright of living a happy life by developing their potential and paving their way to adulthood. We see education as the road to lead orphans out of the life of hardship and will put great emphasis on learning through play, and vocational training which will see children ready to enter adulthood and provide for themselves and their families. Only education can end this cycle, which sees generation after generation living in such terrible conditions. Children are our future, so with your help and generosity we can ensure that orphans will see a better tomorrow. ARUNODAYA TRUST works in the Andhra Pradesh of India and is currently one of the Grass root NGO's in India. It was founded by a group of development activists and social workers who had a background in rural development. Its unique genesis resulted in two advantages for the foundation of the organization; it initiated its program with people possessing prior field experience and owing to the specific background it inherited a broad and comprehensive outlook encompassing a socio-economic and environmental development perspective. In 2008 ARUNODAYA TRUST started its activities initially taking the rural wage issues of agro-based labour, women's and child rights through a rights-based approach. These approaches were upheld by the organization in its later programs. 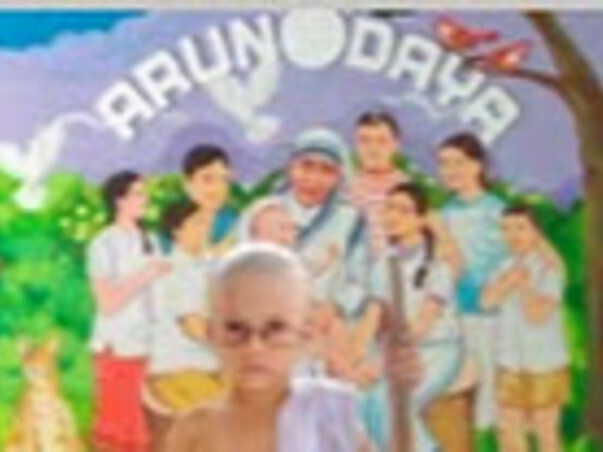 ARUNODAYA TRUST has similar beliefs to those for which it was initially founded. These include issues related to wage movement, land rights, livelihoods, food security & good health, women's rights, empowerment, fundamentalism, injustice and market exploitation. It is ARUNODAYA TRUST's perception that poverty is created by many interconnected and interdependent problems. ARUNODAYA TRUST believes that the bonds between these problems can only be broken and development made truly sustainable by addressing many of the issues simultaneously. Most NGO's have chosen to specialize their expertise in one or two areas but ARUNODAYA TRUST has retained its emphasis on the holistic approach. ARUNODAYA TRUST believes it must work in all sectors of the development context as shown in the diagram to be effective and sustainable. Furthermore, ARUNODAYA TRUST believes that the community will only truly embrace development if they themselves identify their Arunodaya Trusts and lead the process of change. ARUNODAYA TRUST takes a very strong stand against corruption and bribery. It is not open to either giving or receiving bribes. ARUNODAYA TRUST's stand in this area is now widely recognized in the community. ARUNODAYA TRUST encourages other organisations to follow its lead. I am Sudhakar, a Milaap Open fellow in Bengaluru. I spoke to Ranjan, the champion of the campaign and a member of Arunodaya Trust. Arunodaya Trust’s main objectives are to work towards the social upliftment of orphans, HIV infected children, adults and the poor. Their programmes are focused on shelter, education, health and generating livelihoods. Their activities include providing supplementary support to various schools, preparing youth for employment, managing a institute for orphans amongst various other activities across various communities and villages. Ranjan spoke about a few projects that were currently ongoing and close to his heart. At Rangareddy district, Arunodaya Trust is currently supporting 82 families with children who are HIV positive. The support is towards the expenditure of medicines and providing dry ration to their households. A 6-month-computer-literacy programme is organized every month. It is a vocational programme where the youth are trained on applications and tools relevant to the needs of entry level jobs in IT and BPO companies. In the past six years, 662 students have been trained and placed in various companies. The current batch has 55 students and is in progress. The funds raised in the campaign were primarily spent towards the above mentioned programmes and routine expenses towards the running of Arunodaya’s shelter for destitute children. Other than providing food thrice a day, taking care of their clothing and offering medical care, and sanitation facilities, Arunodaya Trust also transforms their lifestyle by ensuring basic education (depending on their age) and engaging them in recreational activities in the shelter.